Contracts for Difference: How Does It Work & Why Do We Need It? Contracts for Difference is a funding mechanism created to support new low-carbon energy generation capacity in the UK. What is Contracts for Difference? The Contracts for Difference scheme was created as part of the UK government’s Electricity Market Reform programme. The aim of the Contracts for Difference scheme was to create a mechanism which promoted investment into low-carbon electricity generation in the UK without significantly increasing the costs of energy bills. The UK energy market is fairly volatile and predictability in this market is hard to achieve which resulted in investments into low-carbon electricity generation being unattractive to investors. In order to offer certainty to investors, the Contracts for Difference scheme was created to offer a minimum price for the electricity generated. Contracts for Difference was introduced in 2014 and replaced the Renewable Obligation. The Renewable Obligation was also an incentive scheme for large-scale renewable energy generation that placed an obligation on energy suppliers to buy Renewable Obligation Certificates. The Renewable Obligation is still operating for those renewable energy generators that signed up to the scheme before it closed as the payments are guaranteed for the length of the agreed period for that technology. How Does Contracts for Difference Work? Contracts for Difference works by creating a private contract between the renewable or low-carbon electricity generator and the Low Carbon Contracts Company (LCCC). Generators can bid for these contracts in auctions if they meet the eligibility criteria to participate. These auctions are held every few years with a fixed budget and the aim to guarantee future electricity generation from the development of new low-carbon generation capacity. The contract agrees to pay the difference between the strike price and the reference price for electricity generated. The strike price is the price that the generator bids at and this should reflect the cost of the investment in the generation technology. The reference price is the indicator of what the average market price for electricity will be in the UK. The difference between these two prices is paid to the generator to subside the development and generation of the electricity. The generator will only receive payments when the project starts to generate electricity. The generator would still sell the electricity to energy market as usual but would receive this top-up to reach the agreed strike price. This top-up amount is then charged as a levy on electricity suppliers under the Contracts for Difference (Electricity Supplier Obligation) Regulations 2014. The payment of the top-up amount and the levy on electricity suppliers is managed by the Low Carbon Contracts Company. Why are Contracts for Difference Needed? The reasoning behind the Contracts for Difference scheme is to guarantee revenue for renewable and low-carbon electricity generators and to protect them from price uncertainty and fluctuations of the UK energy market. By doing this it should assist generators and investors in making the investment in the UK energy market. The motivation behind the scheme is to reduce carbon emissions resulting from energy generation and encourage the investment into renewable and low carbon technologies. If at any point the sale price of the electricity exceeds the strike price, then the generator will have to pay the difference back. What New Energy Generation Capacity Has Been Contracted? The Contracts for Difference scheme has established several new electricity generation capacities that will be coming online over the forthcoming years. The first auction in 2015 will see new generation capacity commence in 2017/18 from offshore wind, onshore wind, advanced conversion technologies, and energy from waste with combined heat and power. The second auction in 2017 will see new generation capacity commencing between 2021 and 2023 from largely offshore wind with some capacity from dedicated biomass with combined heat and power, and advanced conversion technologies. The second auction was more restrictive with onshore wind and solar PV excluded from the auction. 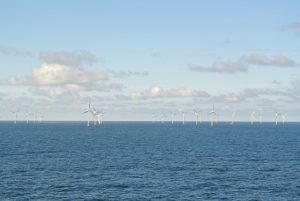 There was also a marked decrease in the prices for the technologies with the offshore wind strike prices at low levels which shows how more economically effective renewable energy generation is becoming. Who Administers Contracts for Difference? The Contracts for Difference scheme is administered by the National Grid and the Low Carbon Contracts Company on behalf of the government. Who is the Low Carbon Contracts Company? The Low Carbon Contracts Company is a private limited company that is owned by the Secretary of State for Energy and Climate Change that started operating in August 2014. The company was outlined in the Contracts for Difference Order 2014 to manage the Contracts for Difference scheme and the investment contracts that are put in place. The Low Carbon Contracts Company also manages the supplier obligation and levy arrangements for the difference payments and settlement arrangements for the Contract for Difference scheme. What is Electricity Market Reform? Electricity Market Reform is a government programme aimed at attracting the investment needed to replace the UK’s ageing energy infrastructure and to decarbonise the UK’s electricity mix. This reform is the biggest change in the UK energy market since the privatisation in 1990. The Capacity Market is a mechanism for securing the electricity supply in the UK from reliable sources that can deliver energy when needed to provide back up for sources that are more intermittent like renewable energy sources.